Business Card for almost any kind of personal use, or even company use. All text layers can be changed with one click. 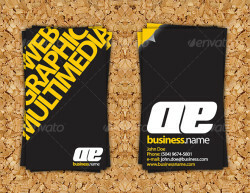 All objects can be resized ..
Impact Business Card, a simple and nice design. Strong contrasting colours, and modern style. 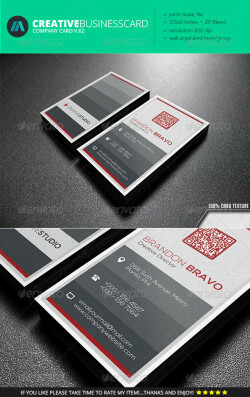 It’s an eye-catching design especially for a design ..
Business card template, ideal for dentist offices. All layers can be changed, you can replace all the information on the business card in easy ..
Best way to present your BUSINESS CARD in 4 fancy & different Styles. All you have to do is copy and paste. Your flat graphic files .. 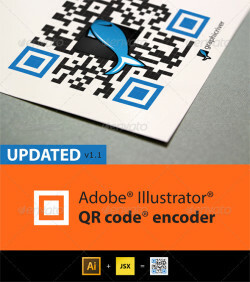 FILE INFO CMYK Setting Bleed – 2.25×3.75 inch Standart Cut Size – 2×3.5 inch Print Ready Format Layered Psd Files Editable Logo Text .. Surveys show that number of scaned codes is increasing significantly every year due to increasing number of smartphones and tablet users. ..
Template Description Modern corporate flyer for a professional company presentation Multipurpose design with easily & fully customizable ..